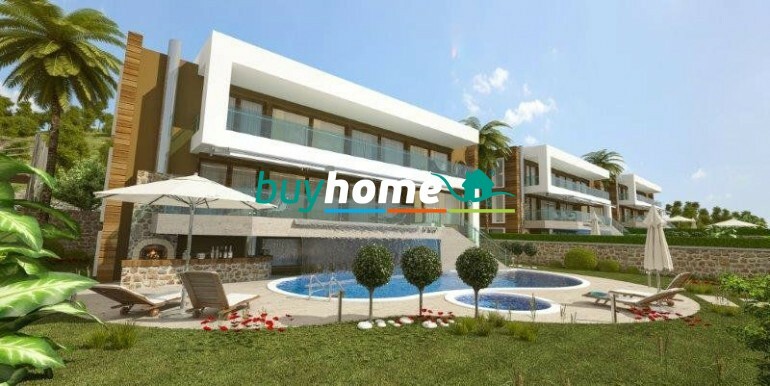 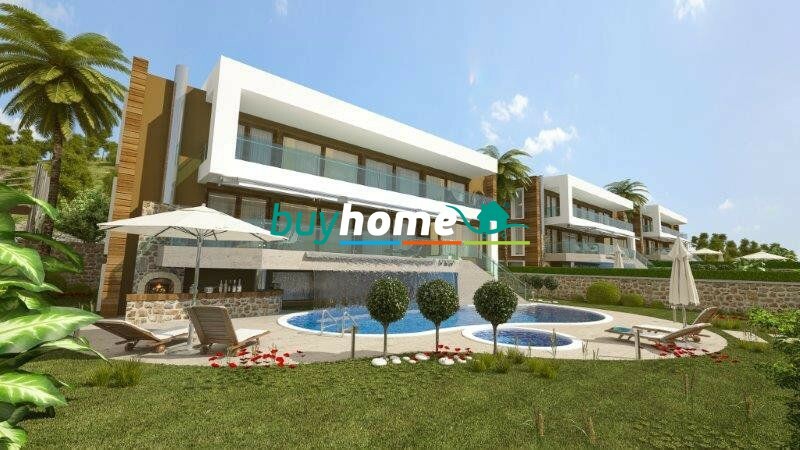 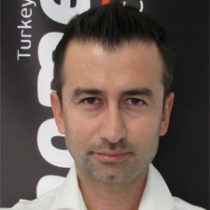 BH Moda Natura Villas | Your real estate agent in Turkey.Rent Apartment in Alanya. 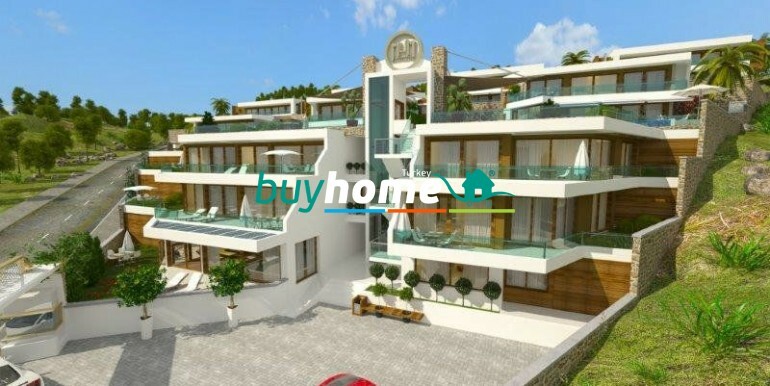 Villas in Alanya are a combination of perfect location, high quality construction and architecture and luxurious and comfortable life style. 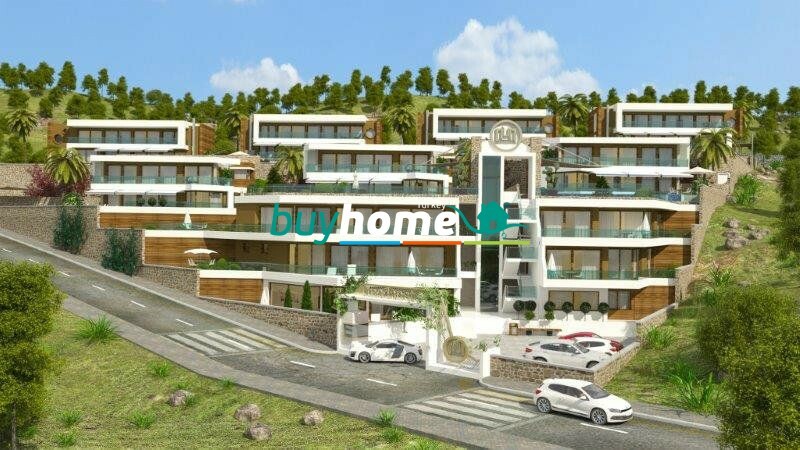 Villas are located in highly valued area called Bektas, which is situated directly up from Alanya’s center to the mountain side. 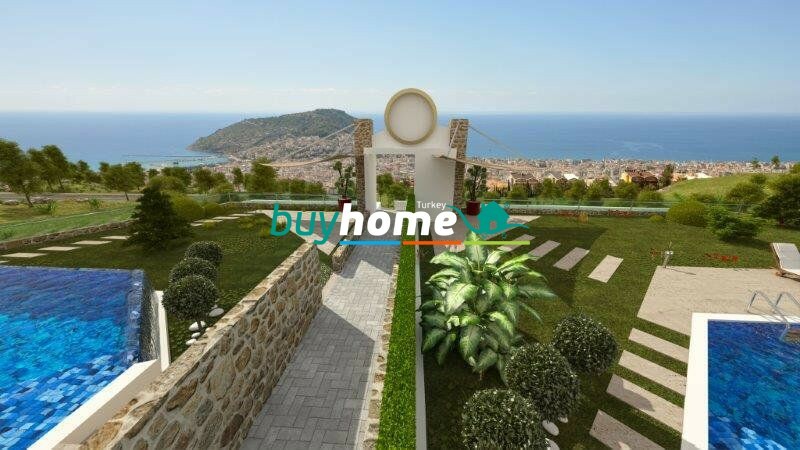 These exclusive villas in Alanya are being built on a land of 5590 m². 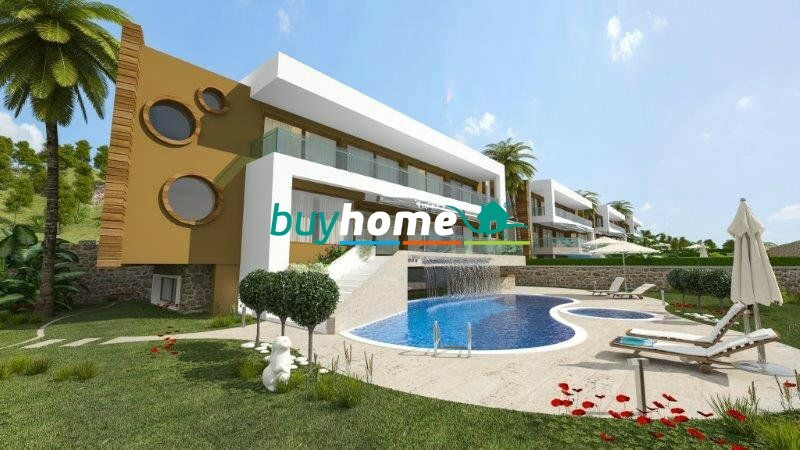 In the area there will be totally 7 villas and 4 apartments. 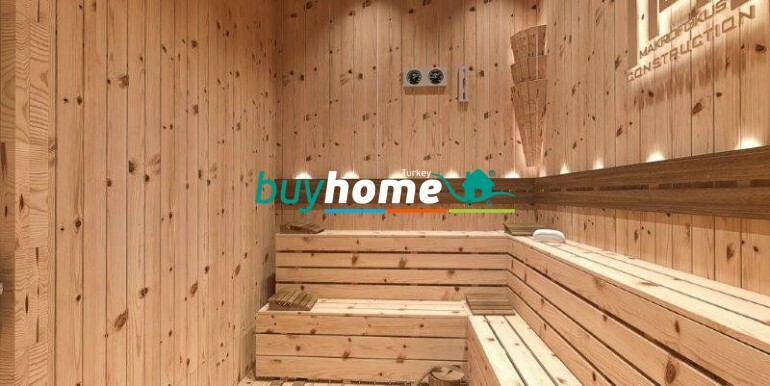 Ground Floor: Entrance, hallway, game room, hobby room, fitness, laundry room, storage room, sauna and shower. 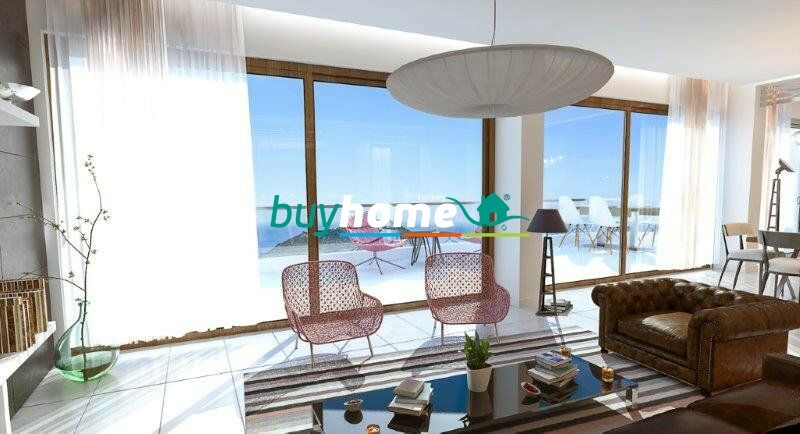 1st floor: Hallway, living room with open style kitchen, bedroom with en-suite bathroom, toilet and terrace. 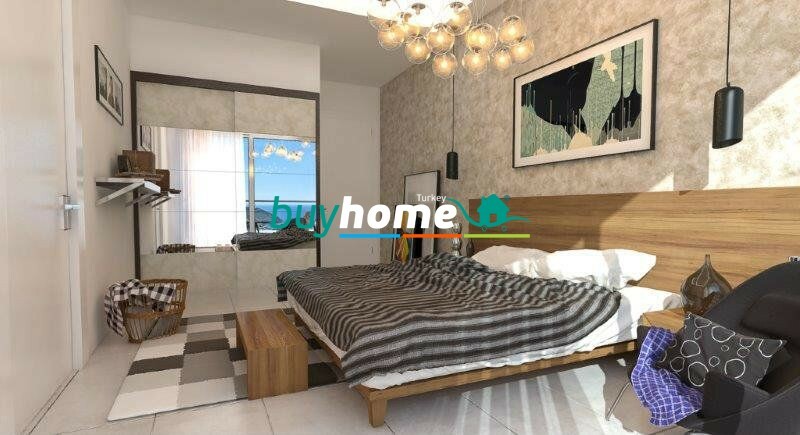 2nd floor: Hallway, 2 normal bedrooms, 1 bedroom with en-suite bathroom, 1 bedroom with en-suite bathroom, Jacuzzi and dressing room, 1 extra bathroom and balcony. 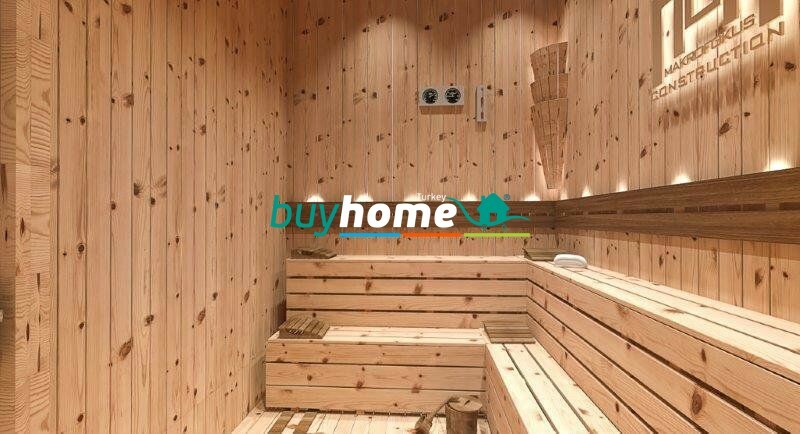 Ground Floor: Hallway, game room / fitness, hobby room, sauna, shower, laundry room and storage room. 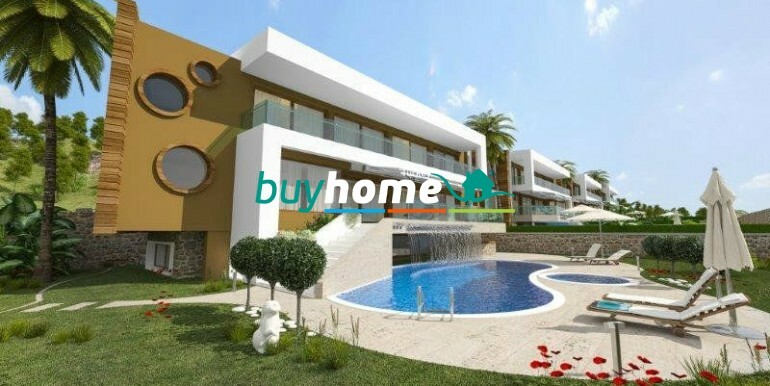 1st floor: Entrance, hallway, living room with open style kitchen, bedroom with en-suite bathroom, toilet and 2 terraces. 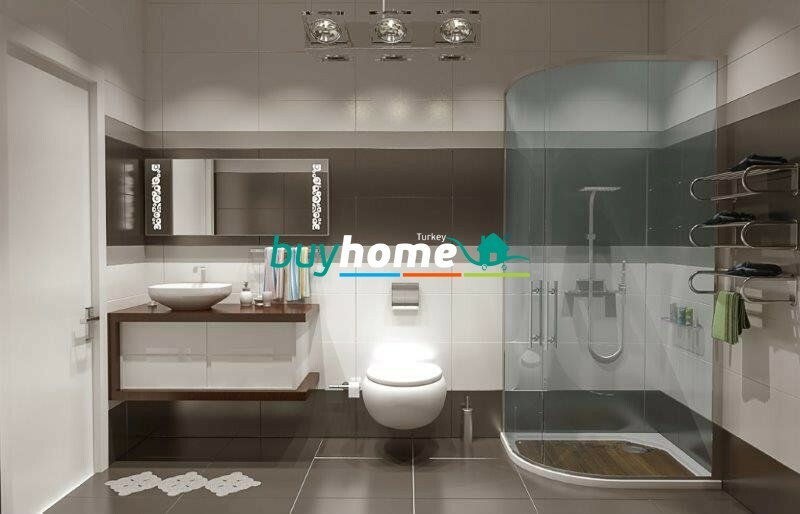 2nd floor: Hallway, 2 bedrooms, 1 bedroom with en-suite bathroom, bathroom with Jacuzzi and terrace. 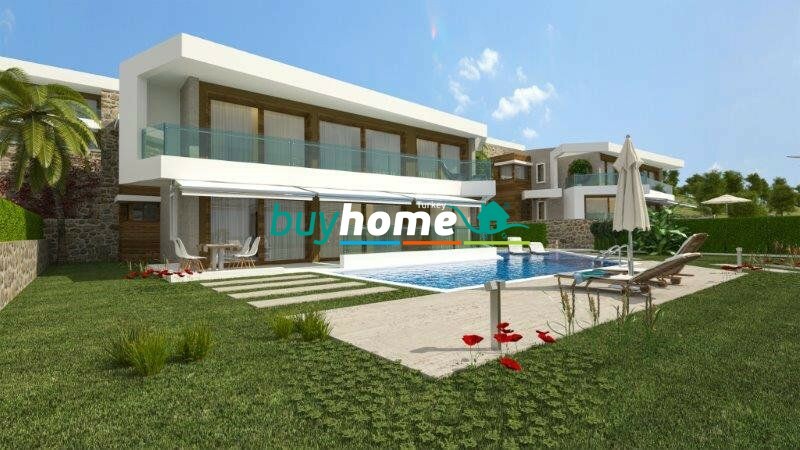 Each villa is built on an area varying from 550-900 m² and has its own garden of 450-750 m². 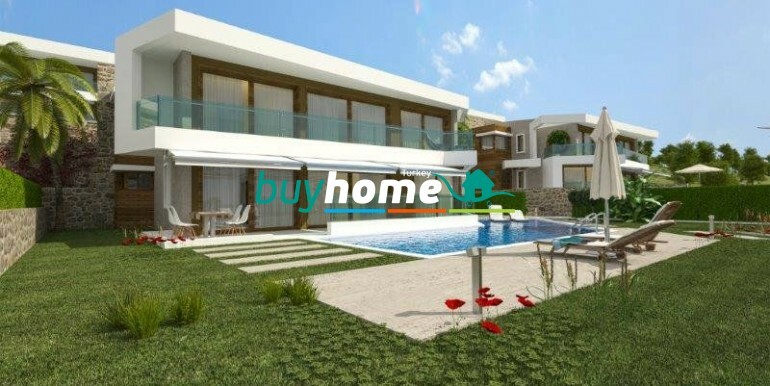 In the garden area each villa has a pool of 50 or 60 m² and a whirlpool. 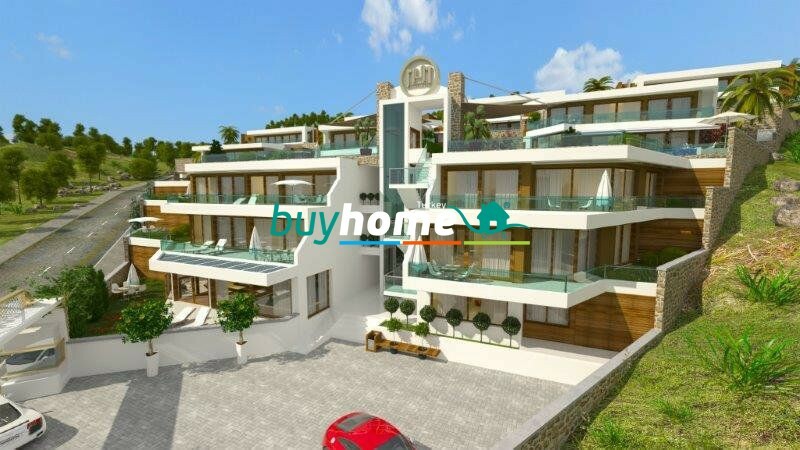 There is also a private parking area for every villa. 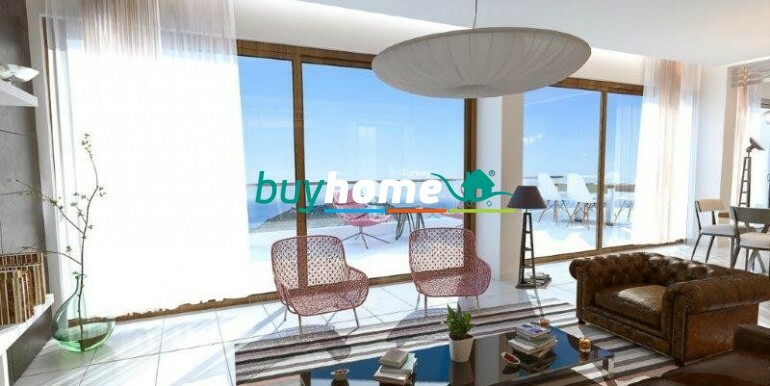 All the villas are sold full furnished. The selling price includes air conditioners, white goods, Tapu and Iskan too. 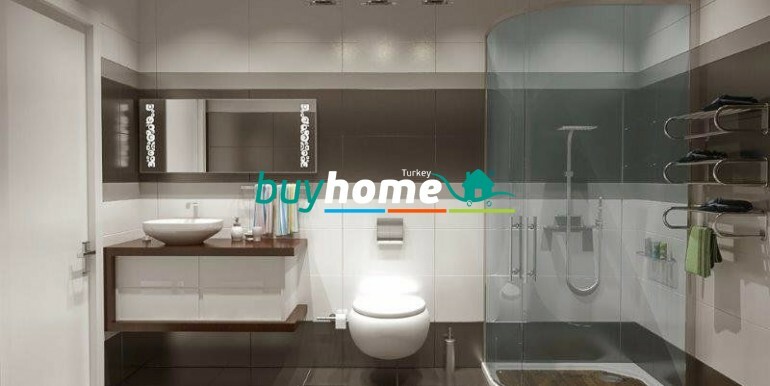 If you react early it is possible to be a part of the design project by choosing the materials and furniture. 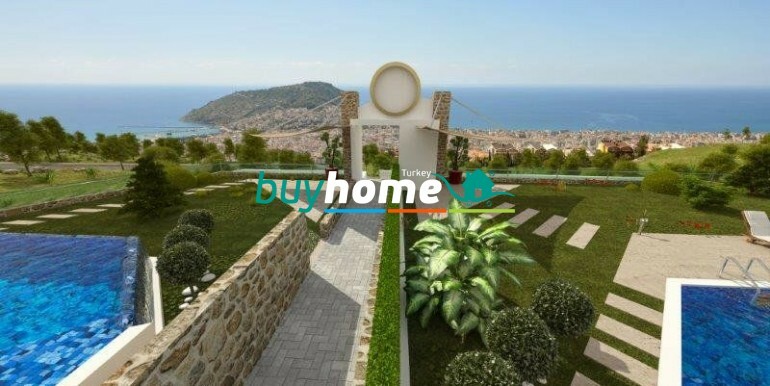 The views from the terraces, balconies and windows are panoramic over the Mediterranean sea and to Alanya’s castle. 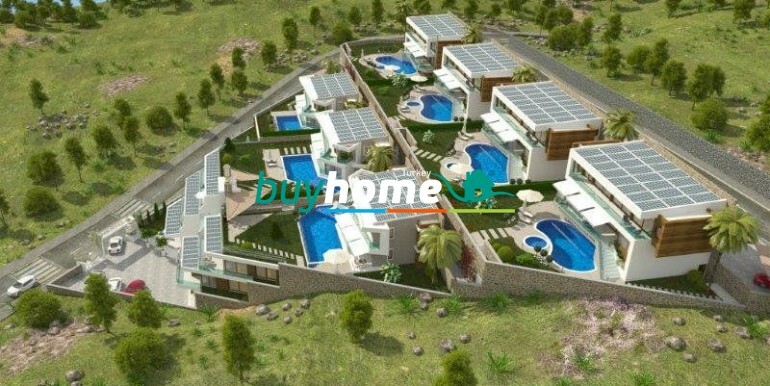 The villas are constructed with the finest materials with sound and heat isolation. 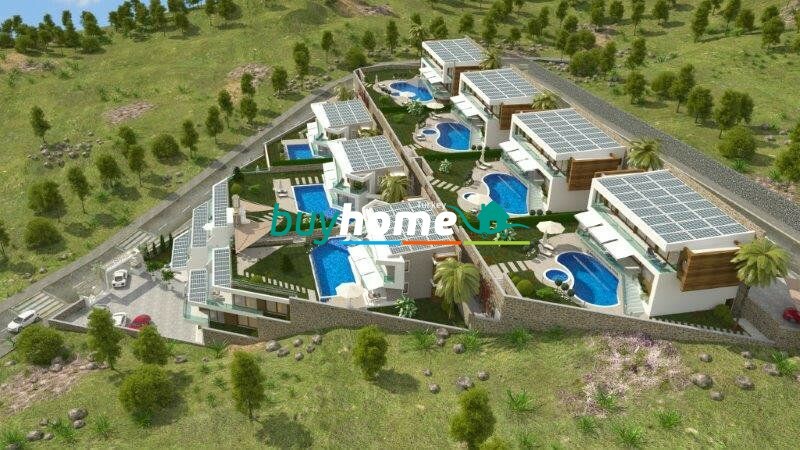 The materials are eco friendly and the architecture is designed for using alternative technologies such as solar energy. 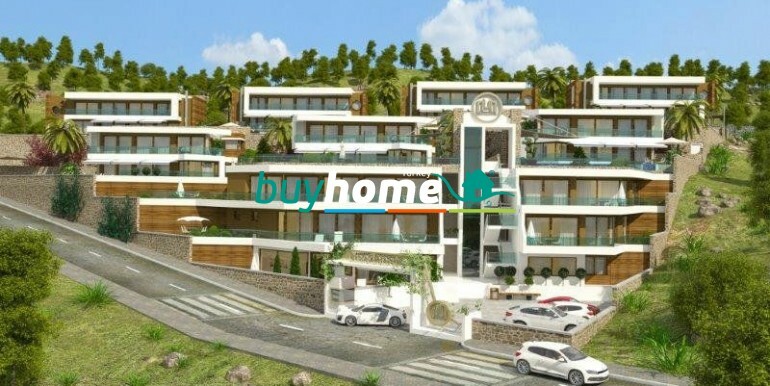 These exclusive villas in Turkey are a special opportunity for people who appreciate high quality and architecture, good location close to center yet tranquil area and comfortable life style.